Kazakhstan has embarked upon an ambitious reform agenda to realise its aspiration of becoming one of the top 30 global economies by 2050. The country’s economy and society have undergone deep transformations since independence. To sustain economic progress, overcome recent difficulties, and drive improvements in well-being to realise its aspirations, Kazakhstan will need to address a number of challenges to ensure its economy becomes more productive and diverse, and is sufficiently flexible and resilient in the face of an ever-shifting external environment. This next stage of economic transformation will require continuing reforms. 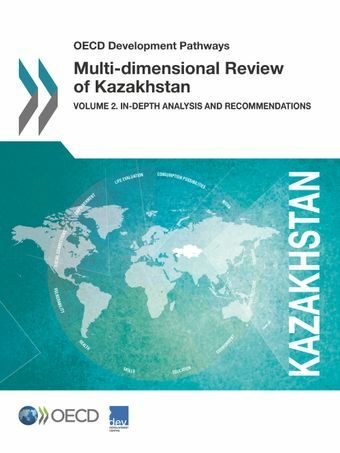 This report discusses policy actions to address four key obstacles to development in Kazakhstan, identified in Volume 1 of this review. It presents in-depth analysis and recommendations to improve the economy’s resilience through diversification, to mobilise financing for development, to transform the role of the state in the economy, including through privatisation, and to improve the effectiveness of environmental regulations.